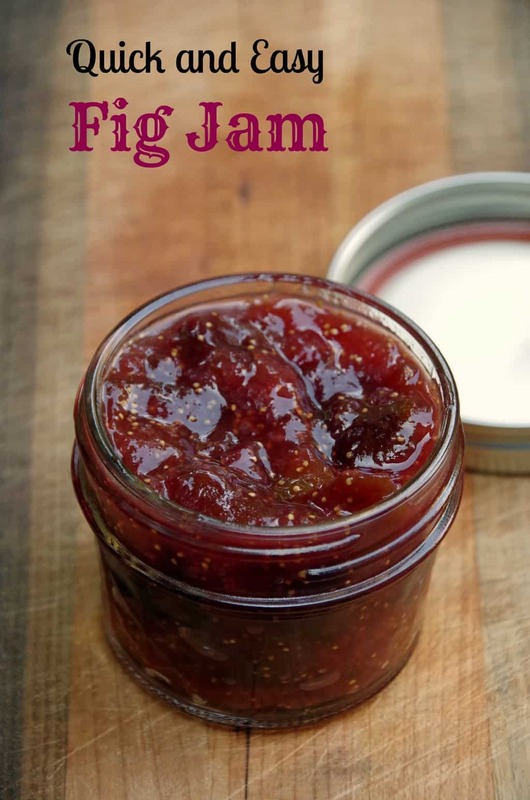 Home » Recipes » Breakfast » Fig jam is easy to make with no canning required! Fig jam is easy to make with no canning required! Fig jam isn’t something you normally see when you stroll down the peanut butter and jelly aisle at the grocery store. In fact, I am pretty sure I have never actually had fig jam in my entire life. Other than Fig Newtons I don’t know that I have ever even eaten a fig! Ok, maybe once as an appetizer at a friend’s house? I have certainly never bought them myself because, quite honestly, I have never come across one at the grocery store. But, I was at the farmer’s market last weekend and low and behold there was a guy there selling figs! 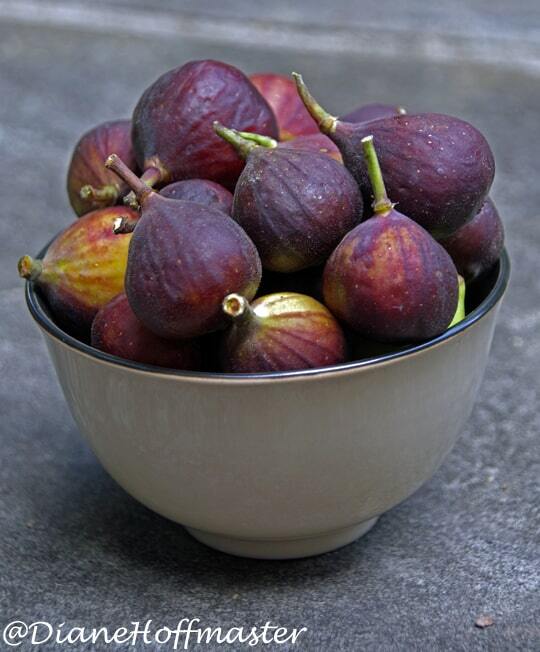 If you have a ton of figs, check out The Complete Book of Home Preserving to find out how to preserve them for use all year round. My husband has been trying to convince me to put in a few fruit trees for years. One of the fruits he comes back to time and time again is the fig. Did you know that figs were one of the first plants cultivated by humans? How crazy is that? And apparently growing figs here in Georgia is relatively easy. After my incredible luck with this fig jam recipe, I am seriously considering letting my husband have a go at growing our own. Of course, with a few fig trees in the yard, I would probably get more fig jam than I could use in a lifetime but I bet I would have some seriously happy neighbors! Isn’t the inside of the fig beautiful? I Don’t Know How to Can! So, the thing that turns me off from making most jam is the whole pectin and canning thing. I have tried it once or twice with very little luck. I know some people think it is incredibly easy but I am not one of them! This fig jam is not canned! 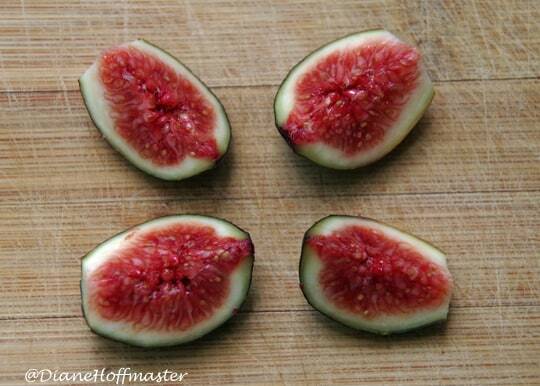 You just cook the figs down on the stove for an hour with some water, sugar and a bit of lemon juice. Mash with a potato masher to make it a tad bit less lumpy and let cool. That is it! Then just chill and use wherever you want a bit of fig jam! I will be making an appetizer with it this weekend so make sure you stop back by next week for the recipe! But, even if you don’t want to get very creative with your fig jam it tastes delicious on a plain old English muffin! This fig jam is sweet and easy to make with no canning required! That does look easy! We've canned tomatoes, etc., but haven't taken a shot at jams yet. May have to try it! This looks amazing! I would love to make this, especially since it is so easy! What a delicious and easy way to can figs. Yum! Does that look yummy or what? I had no idea you could can anything without a long process. This looks delicious and easy to do. Just made this today and it is wonderful! Can you freeze this like freezer jam? yes, it freezes quite nicely! What do you freeze it in? I'm getting ready to make this today and will have a lot to share but if I could freeze some for later times, that'd be awesome! most mason jars are freezer friendly but you could freeze in plastic if you prefer that! Just made it, but it was quite thin and syrupy, not thick like jam. Will it thicken as it cools? It definitely thickens as it cools. Did it turn out okay? Hope you enjoy....it was delicious! I can't wait to make this! Our neighbor gave us a large bag of fresh figs from their tree. Never have made any jam before. Should be fun. Great post! Good luck! I hope it turns out as delicious as mine was!